These lucky seagulls narrowly avoided becoming whale food as they scrounged for scraps during a feeding frenzy in Thailand, the Daily Mail reports. The cheeky birds were trying to poach fish being swallowed by the large whale when they swooped through its mighty jaws moments before they slammed shut. But they were able to fly to safety after nearly being gobbled up by the hungry whale. Keen husband-and-wife photographers Coke and Som Smith captured the incredible scene in the Gulf of Thailand off Bang Taboon, a village around 50 miles southwest of Bangkok. Coke, 52, a teacher by day, revealed Bryde's whales do sometimes inadvertently swallow birds who are trying to join in on the catch. But these fortunate few were able to evade becoming lunch with less than a second to spare. Coke said: ‘Once in a while the whales accidentally swallow the birds - sometimes they are able to fly away during the next lunge. 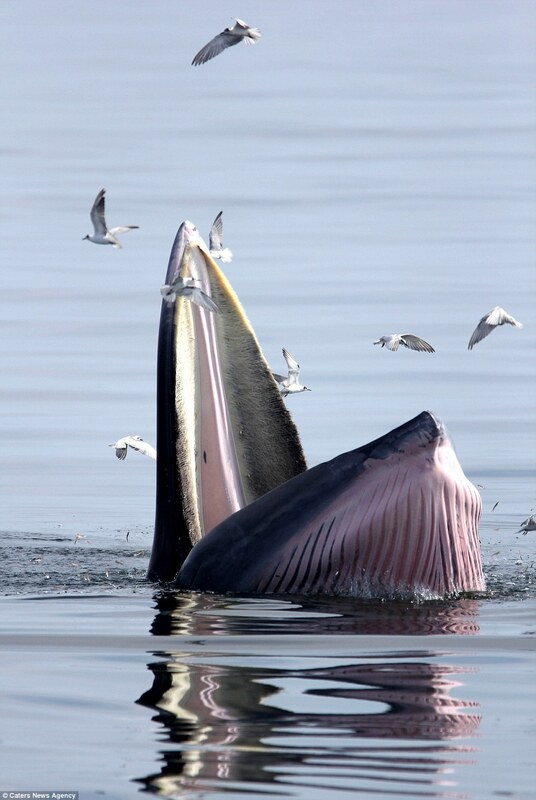 ‘Bryde's whales are very famous for being next to impossible to see in the wild - let alone get top-notch images of them. ‘So people have been very impressed with the photographs we were able to capture. In total Coke and Som, 35, were able to photograph six whales, having initially lost hope of snapping the difficult to track down animals. 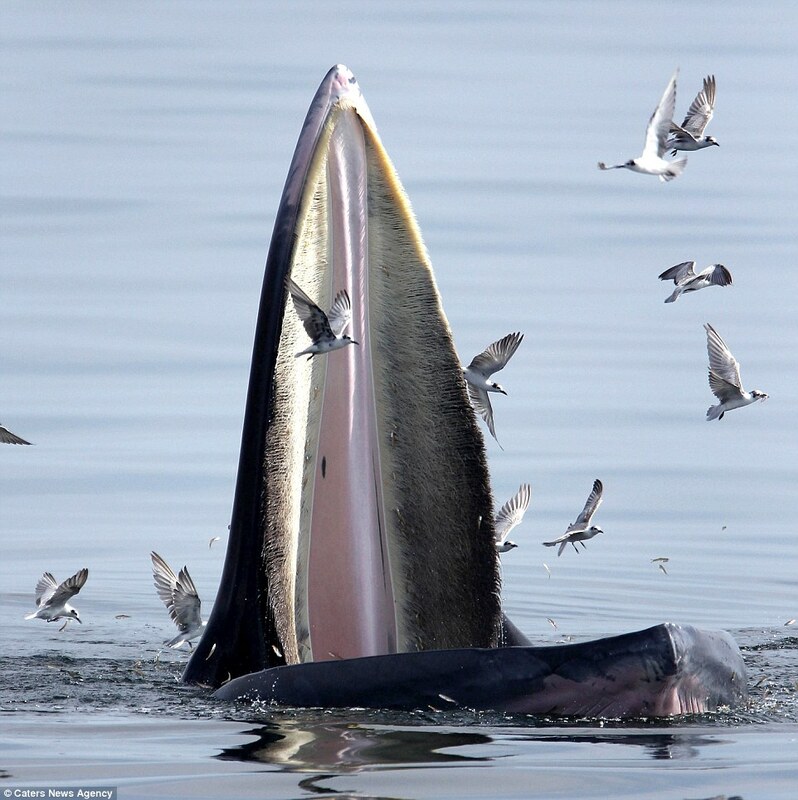 Bryde's whales' diets comprise of a variety of fish, krill and squid. The photographers said photographing whales is extremely challenging as their behavior is often unexpected.